RENTED! Larkspur 2bd Home Nr Kentfield! With a high level of finish, this gorgeous 2bd/2bd Larkspur home rented March 2010 at $3,500. With a 2-car garage and a killer kitchen and expansive deck for entertaining, we are totally jealous! Bonus? It is walking distance to Rustic Bakery! Larkspur Rental help? Give us a call anytime!! RENTED!! Huge Home in Novato's Bel Marin Keys! Expansive and gorgeous, this 4,000+/- sq ft home on Novato's waterfront in Bel Marin Keys rented this March 2010 at $4,475 to a great set of local tennats. Thanks to Christopher and Joscelyne for working on this one, and thanks to the tenants for working so quickly to get the applications in! Have a Novato Rental you'd like help renting? 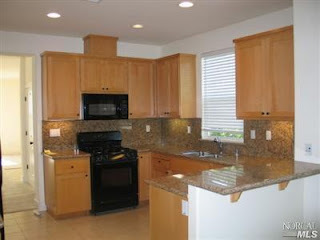 We specialize in the Marin County Rental and would love to help! Call anytime. Great 4bd Home RENTED in Greenbrae! A commuter's dream, this well remodeled 4bd home in Greenbrae was on the market both for sale and for lease, and we had the pleasure of representing the tenants on this one this March 2010. Rented around the $4,000 price point, our tenant clients are so excited to try out life in Marin, and we think this is the perfect house to do so! Thanks to Francine Hulot at Coldwell Banker for working with us on this one and helping her clients secure great tenants - here's to continuing to do business together in the future! Have a Greenbrae Rental you'd like help with? 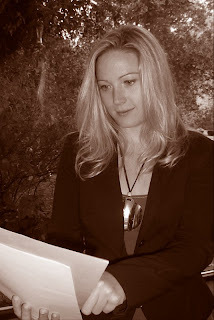 My team and I specialize in the Marin County Rental and would love to help. Call anytime. 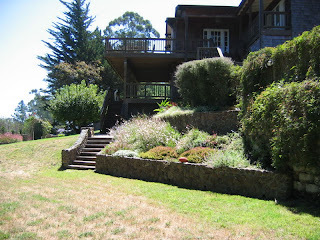 Madrone Canyon house in Larkspur RENTED! 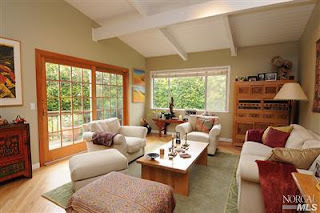 Wow we love Larkspur - and this picture perfect little 3bd house in Madrone Canyon was a steal this March 2010 at $2,450. Thanks to the owner for choosing to work with us year after year - and thanks to both Joscelyne and Christopher for working so hard to find great tenants again! Do you have a Lakspur Rental? We love Larkspur and would love to help! Call anytime! With a picture perfect location and views to match, this sunny 1bd half of a duplex rented in Sausalito this March 2010 at $2,150. Thanks to the owners for trusting us with their first time on the market, and thanks to my agent Joscelyne for working so hard to show BOTH sides of the duplex until one rented! 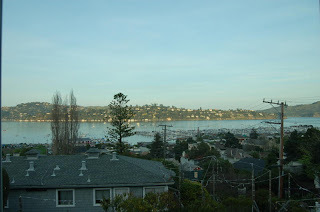 Do you have a Sausalito Rental with great views like this? We specialize in Sausalito and Marin County Rental Properties and we'd love to help! RENTED! near downtown Mill Valley!!! Who hoo! Rented this March 2010, another luxury unit rented at Mill Valley's newest mixed-use project is preparing for its new occupants. One of the 3bd models, this home rented to great local tenants at the asking price of $3,750. Thanks to the tenants for working with us while we air out the kinks involved with renting a never-lived in property, and thanks to the owners for their continued business with us as Marin county rental agents. Looking for help with your Mill Valley Rental? We are agents focused on leasing Marin and are happy to help! 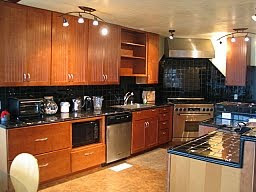 Rented this March 2010, this practically new 3bd/2.5ba in one of San Rafael's newer developments always rents quickly! Rented at $2,850 to another relocating client, we're sure they'll be happy with the great warm weather spring brings in San Rafael. Thanks to Christopher for taking the time to tour the relocating tenants on the same weekend Joscelyne and I were out of town and he was slammed. Looks like another success story here for the Marin County Rental team! Looking for help with your San Rafael Rental? Call or email us anytime! RENTED! Privacy in Mill Valley! RENTED this March 2010 at $5,400, this 3bd+ stunning home in Mill Valley offers privacy, views and a great level of finish. Thanks to our agent Christopher for getting this one rented to a great set of tenants with no down time to the owner! And thanks to the owner for having such a great house to begin with! Have a Mill Valley Rental you'd like help with? We are agents who only do rentals - call anytime! The Marin County Rental is our specialty! RENTED! 2bd House in Sun Valley! Rented this March 2010 at $2,050 in San Rafael's Sun Valley neighborhood, this cute 2bd/1ba home offers a bonus den and a HUGE backyard! Thanks to our agent Joscelyne for working to get this rented on time, and thanks to the owner and his team for getting the house move-in ready so quickly for the very excited new tenants! Looking for help with your San Rafael Rental? We specialize in Marin County Rentals and are happy to help! 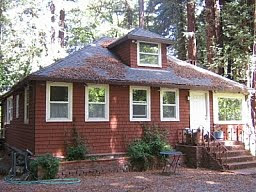 RENTED in Mill Valley's Sycamore Park!! My partner Christopher Barrow repped the tenants in this Marin County rental transaction this March 2010. Rented at $3995, this super cute 3bd/2ba home in Mill Valley's Sycamore Park was just waiting for the right tenant. Thanks to Cheryl Wheeler at Decker Bullock for working with on this one. And thanks to our clients, the tenants, for working so quickly to get their applications in! Looking for help with your Marin County Rental? We specialize in rentals Marin County and would love to help! (415) 507-9600. RENTED in Ross! Gorgeous Winship Park w/Views! RENTED! This March 2010 this stunning 3bd+ home in the hills above Winship Park in Ross rented at $4,000. Thanks to the tenants for making a quick decision and thanks to Susan Bowman at Morgan Lane for referring this property to us - was a pleasure to show! Looking for help with your Marin County Rental? 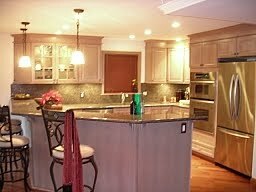 We specialize in Marin rental homes and would love to help. Call our office anytime! (415) 507-9600.